NASHVILLE, Tenn. (July 14, 2016) – Country traditionalist Moe Bandy, known for dozens of chart-toppers like “I Cheated Me Right Out of Her," "Bandy the Rodeo Clown” and “Americana,” will release LUCKY ME July 29.LUCKY ME, Bandy’s first studio album in 10 years, features memorable collaborations with The Oak Ridge Boys, Riders In The Sky and Ricky Skaggs. Click here to pre-order LUCKY ME. Whether in the studio or traveling the world performing, Bandy keeps one of the busiest schedules in the business. Some of his noteworthy accomplishments include: 10 No. 1 Hits, 40 Top Ten Hits, 66 Chart Hits, 5 Gold Albums, ACM Song of The Year, ACM most Promising Male Vocalist of the Year, American Video of the year, ACM and CMA Duet of the Year. 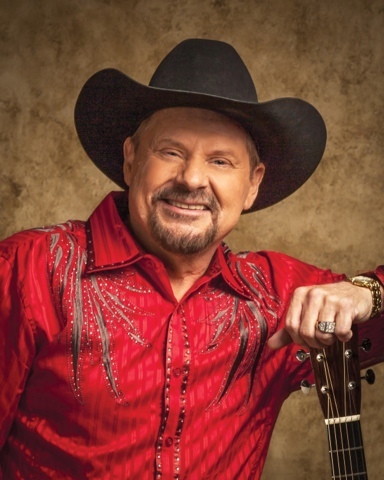 Be sure to follow Moe Bandy on Facebook or visitwww.moebandy.com to pre-order LUCKY ME or for information on upcoming shows. July 16 Southwind Casino – Braman - Braman, Okla.
July 22 Batesville Arkansas Independence County Fair - Batesville, Ark. July 30 Rural Retreat Heritage Day Festival - Rural Retreat, Va.
Aug. 04 Clinton County Fair - Mill Hall, Pa.
Aug. 05 Corydon LIVE! - Corydon, Ind. Aug. 12 Main Street Crossing - Tomball, Tex. Aug. 27 Boot City Opry - Terre Haute, Ind. Sept. 10 Redneck Country Club - Stafford, Tx. Sept. 16 Ross Country Jamboree - Scottsburg, Ind. Sept. 17 Creston IL Booster Days - Creston, Ill.
Sept. 25 American Music Theatre - Lancaster, Pa.
Sept. 30 4 Bears Casino - New Town, N.D.
Oct. 01 Prairie Knights Casino - Ft. Yates, N.D.
Oct. 02 Midwest Country - Sandstone, Minn.
Oct. 03 Rollies - Sauk Rapids, Minn.
Oct. 05 American Bandstand Theater - Branson, Mo. Oct. 07 Lincoln County Cowboy Symporium- Ruidoso, N.M.
Oct. 09-10 Moe Bandy Golf Tournament - Victoria, Tex.